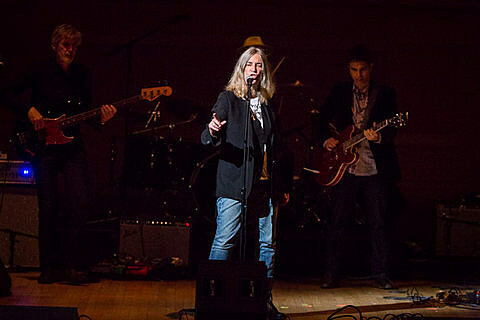 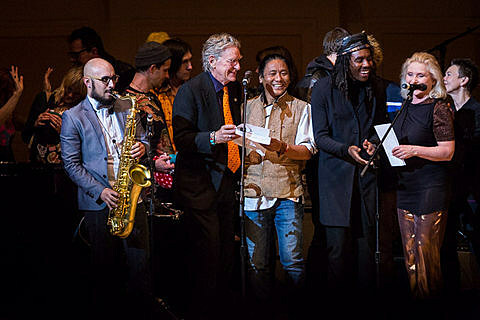 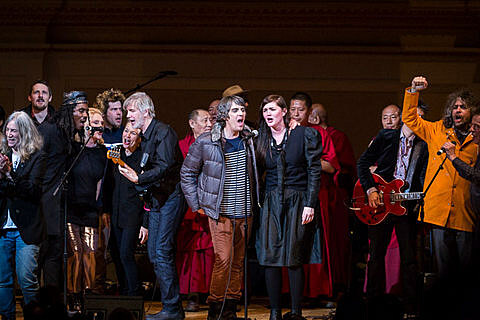 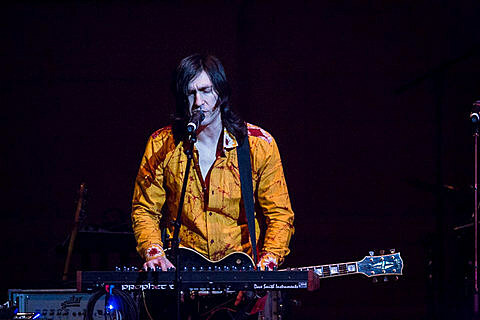 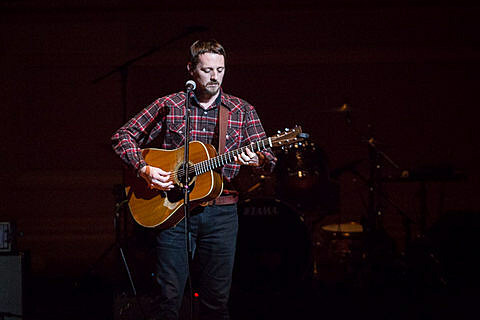 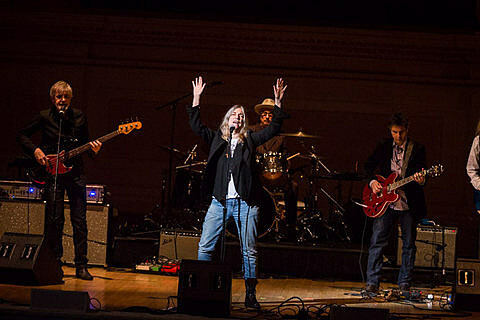 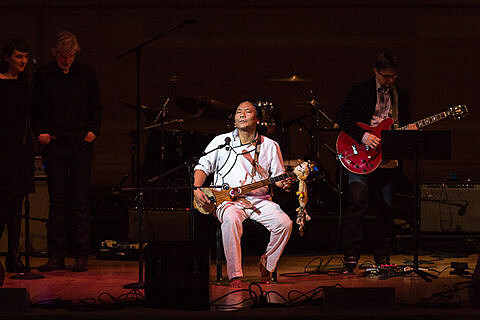 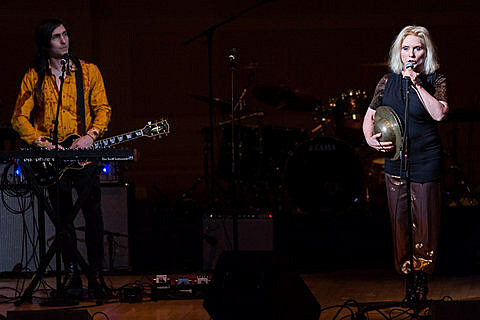 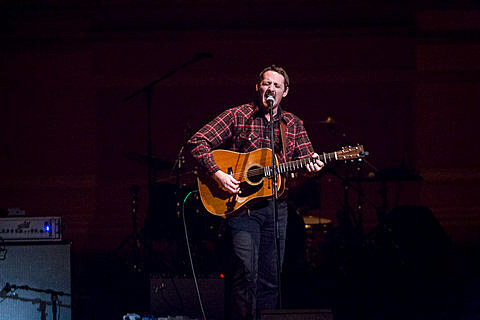 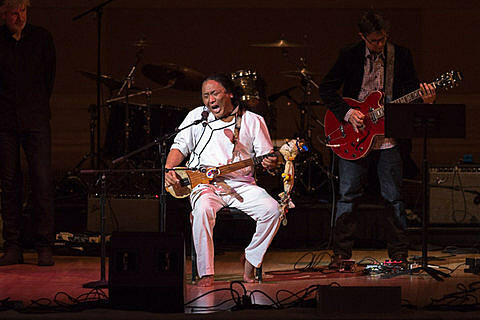 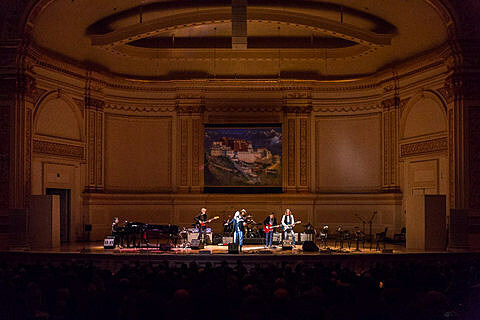 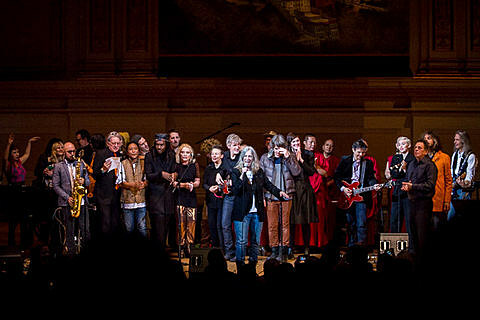 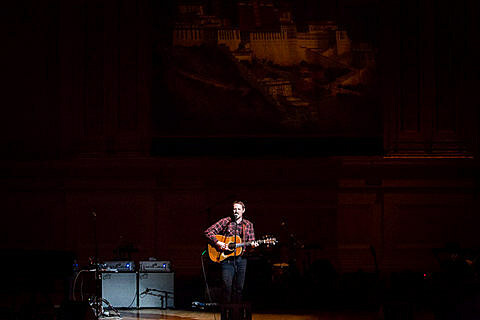 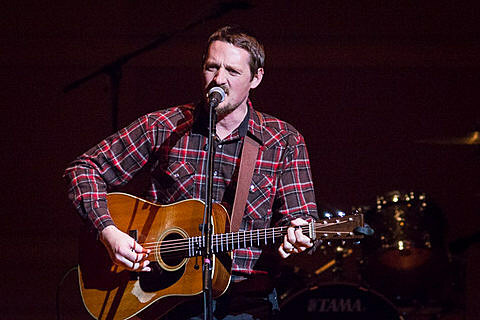 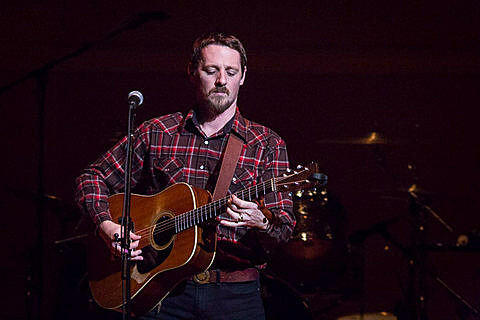 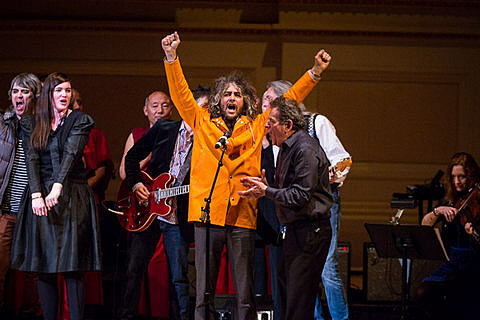 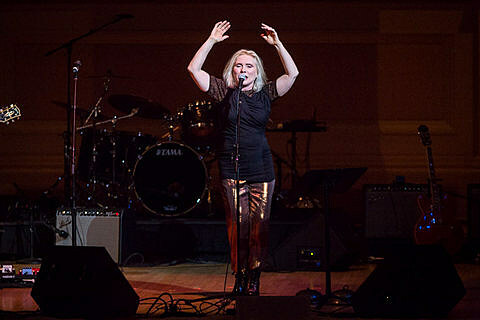 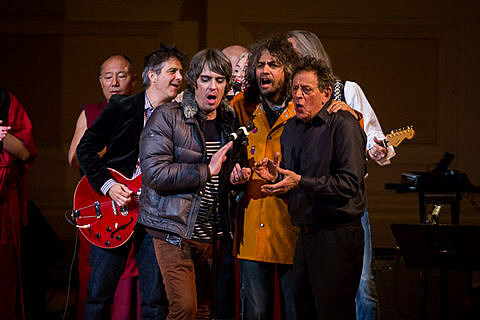 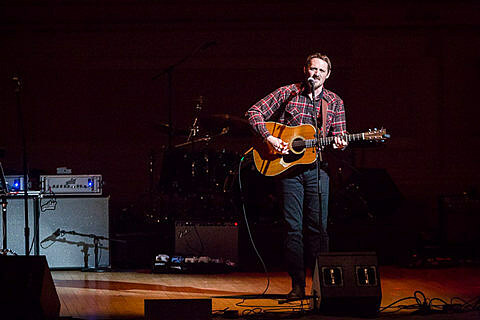 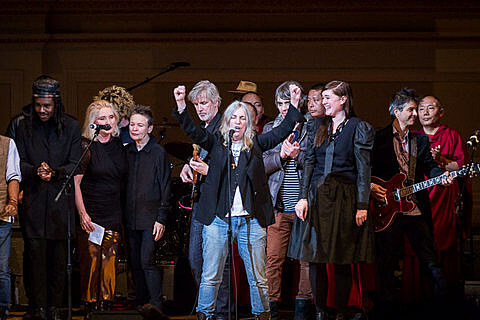 The 25th Annual Tibet House Benefit took place at Carnegie Hall on March 5th near the beginning of the Year of the Wood Sheep Tibetan New Year celebration. 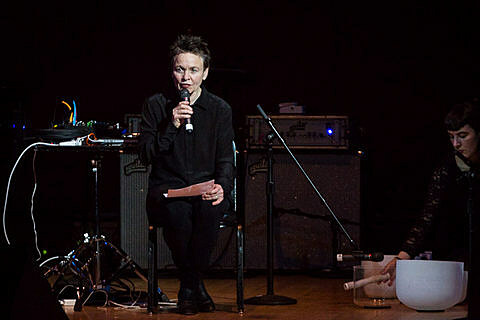 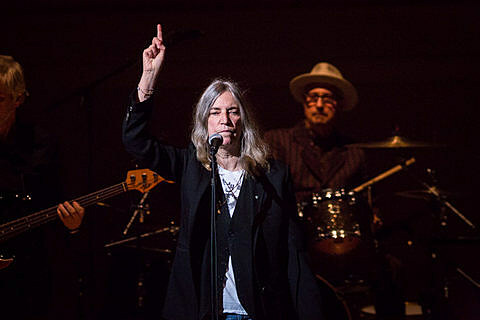 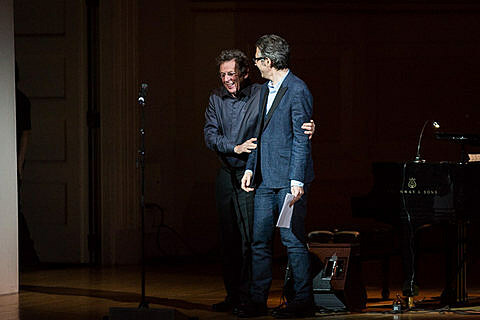 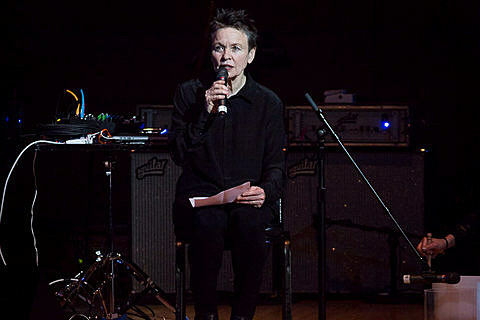 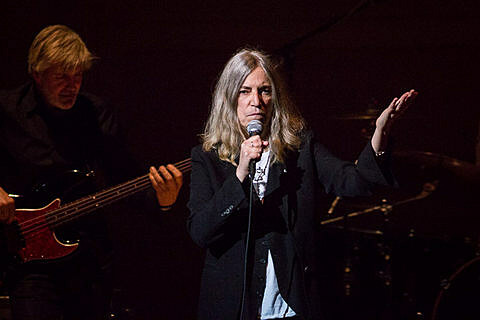 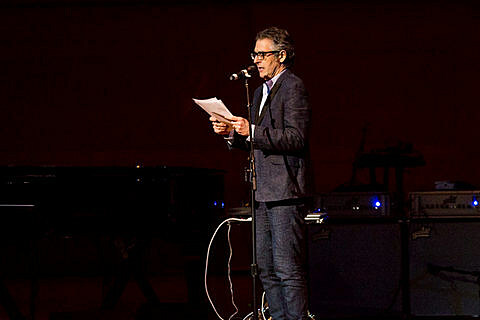 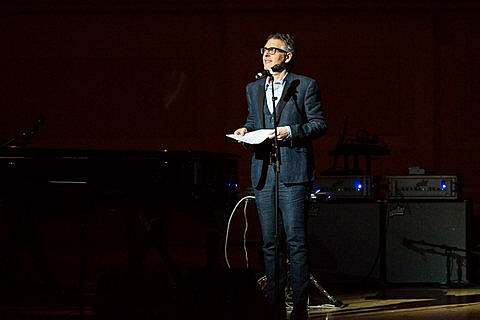 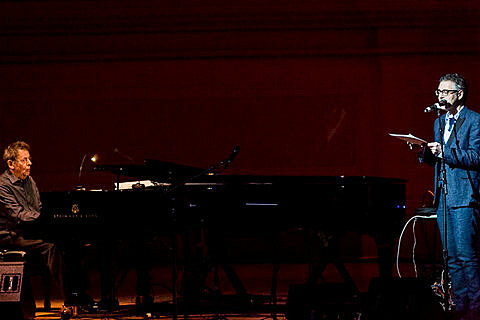 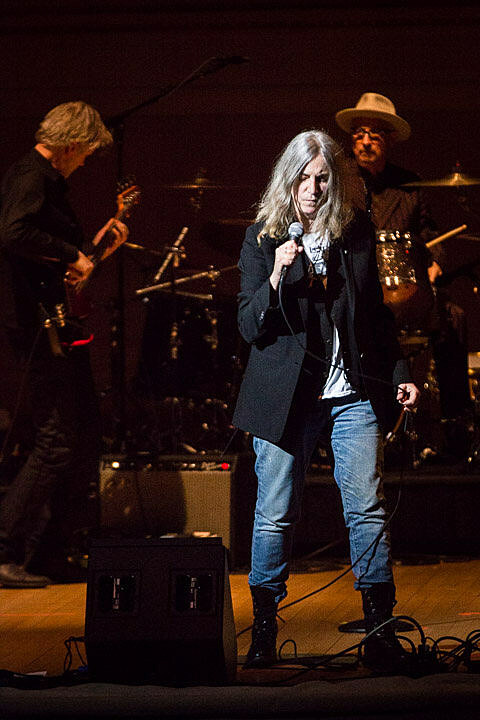 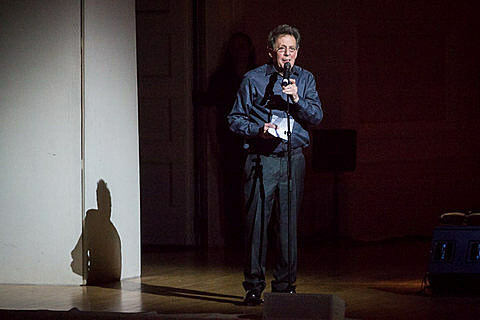 Artistic Director and Composer Philip Glass invited friends like rocker Patti Smith and avant-garde artist Laurie Anderson, who both performed for the benefit before, as well as newer talents like indie producer Dev Hynes and alt-country star Sturgill Simpson. 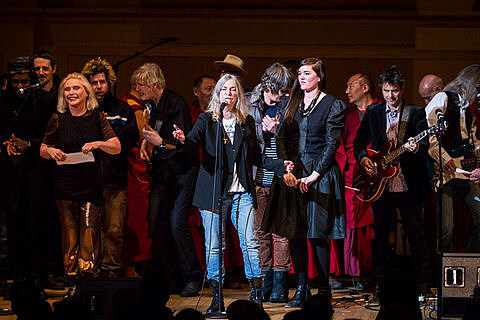 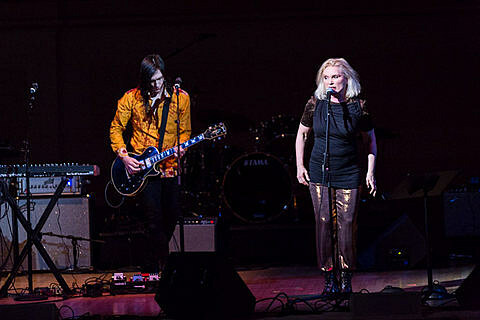 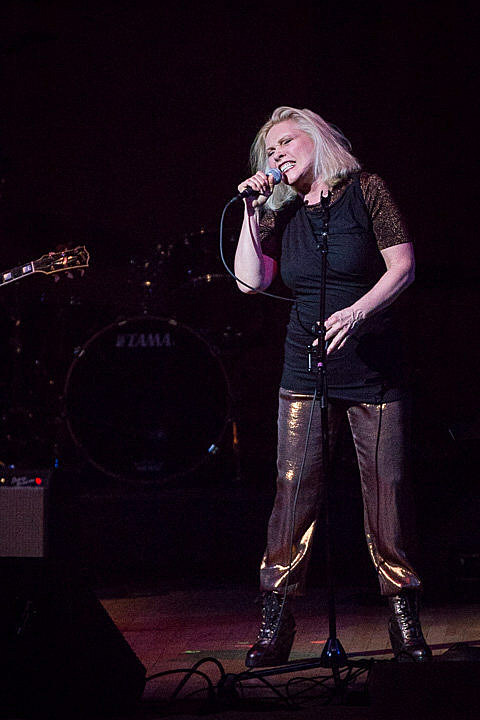 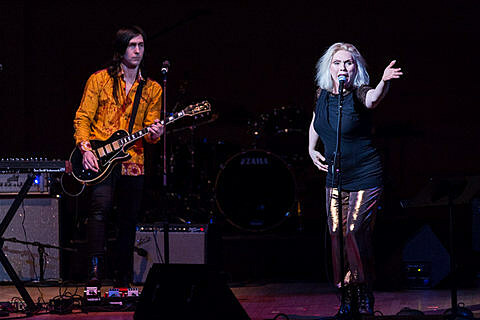 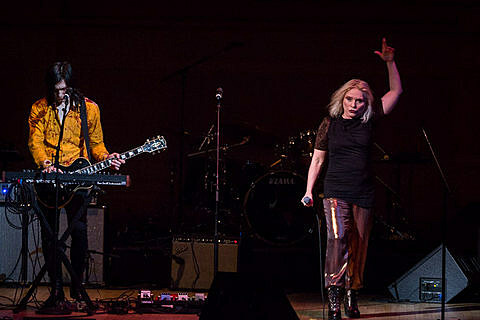 The contingent of Tibetan musicians included the monks of the Drepung Gomang Monastery and Tenzin Choegyal, who invited Anderson back out to help with “Heart Sutra.” Rock icon Debbie Harry performed three songs including “Heart of Glass” which received large applause. 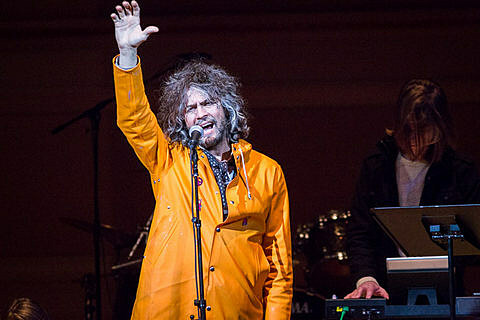 The Flaming Lips with help from Julianna Barwick performed two covers, the The Beatles “She’s Leaving Home” (they covered the entirety of Sgt Pepper’s on record), followed by David Bowie’s “Warszawa”. 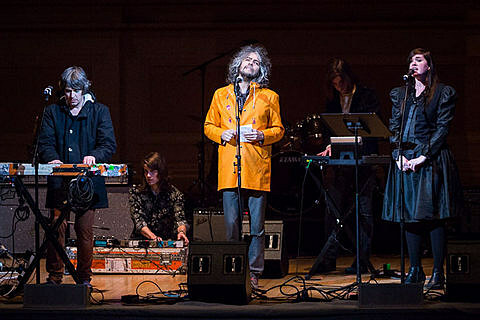 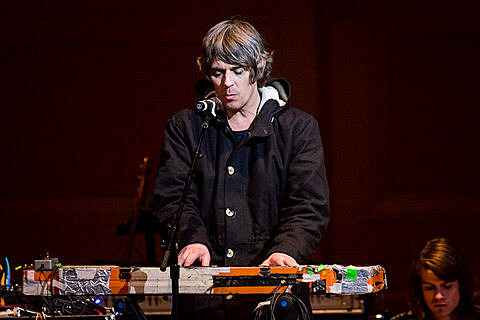 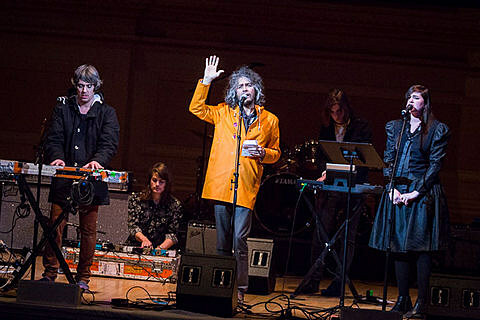 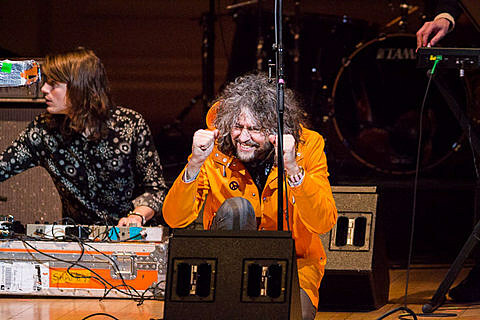 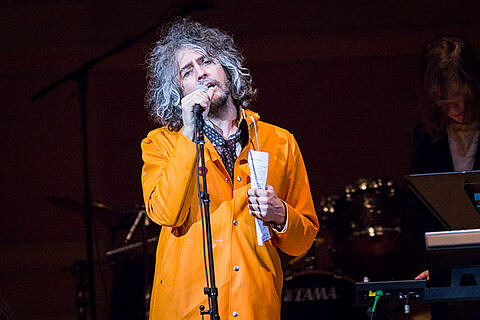 It was a real treat for the band to perform it alongside Glass (who covered it on 1993’s Low Symphony) and Wayne Coyne voiced his love for Glass before the song. 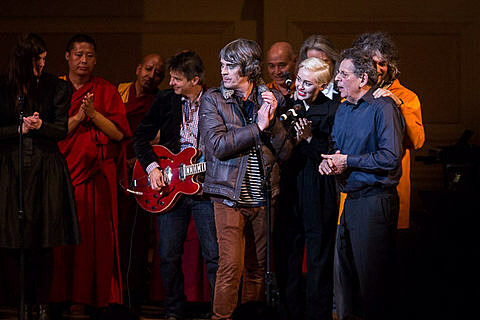 The evening concluded with Smith sharing “Birthday Poem” in advance of the Dalai Lama‘s 80th birthday later this year. 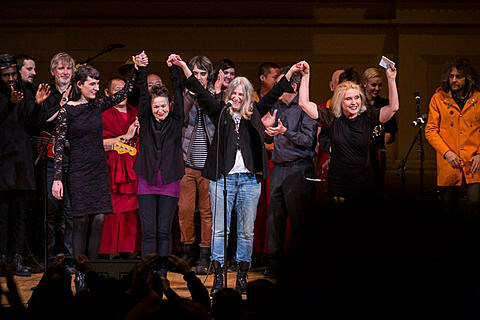 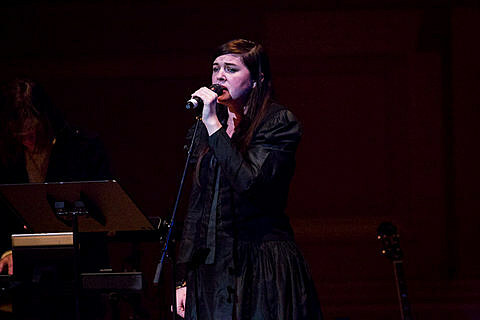 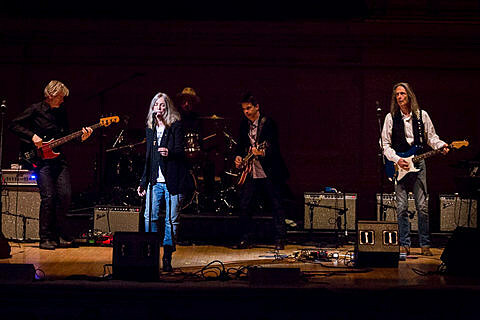 She was then joined by her daughter Jesse Paris Smith and Her Band for “Gandhi” before the grand finale. 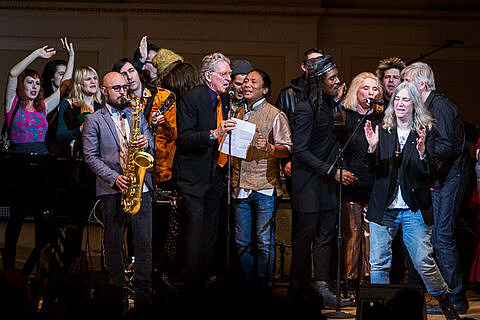 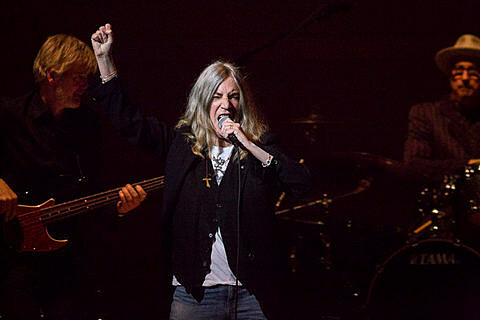 All the artists, including Coyne’s heady fwend Miley Cyrus, took the stage for “People have the Power” – with Smith asking the audience to rise and leading the way. 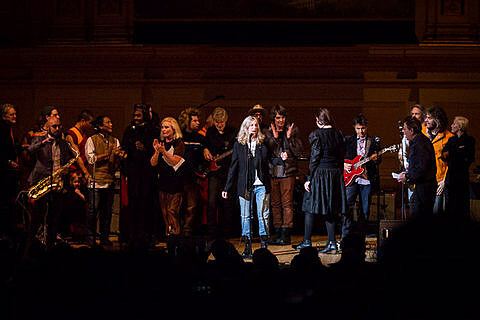 Smith ended the night sharing a bow with Anderson, Harry and her daughter.